Pollution Challenge! features six "missions," each of which focuses on a goal, but requires different kinds of problem-solving to complete. (And each of the challenges can be solved in multiple ways, so it's possible to approach the problem from many angles.) Several of the missions focus on reading as a crucial activity, so this is not just about play—it's about problem-solving in different modes. Although, yes, there's a pretty rad video game component too! Students playtest the game. Image courtesy of GlassLab. "SimCityEDU is customized for learning and assessment purposes, based on the new SimCity released in March of 2013. Thanks to the generous donation from Electronic Arts, we have modified the game into a series of missions that engage learners to solve real world problems. While learners solve these problems, game play data is gathered in our assessment engine and provides real-time estimates of student learning back to their teacher and parent. "SimCityEDU: Pollution Challenge! acts as a powerful teaching tool for educators, integrating learning and assessment aligned to Next Generation Science and Common Core Standards in the same experience. Designed for middle school students, the game encourages students to think critically about the challenges facing modern cities and the world around them. In the game, students play the role of mayor, addressing issues of environmental impact in a virtual city while maintaining employment levels and citizen happiness. "The suite of SimCityEDU tools includes teacher and student dashboards with easy-to-understand, standards-based reporting, as well as lesson plans to support use in the classroom. Teachers also have access to an online community where they can create, share and browse lesson plans and instructional ideas that are designed to address Common Core and Next Generation Science Standards." 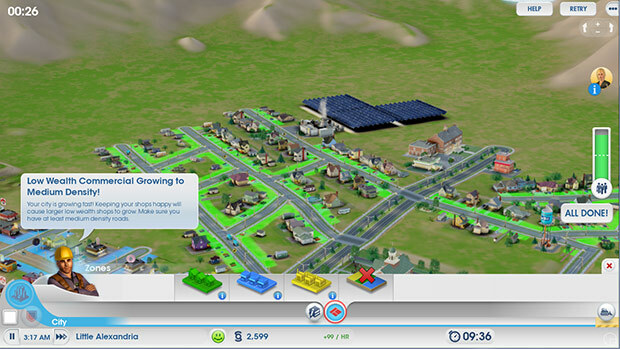 Screenshot from SimCityEDU: Pollution Challenge! Image courtesy of GlassLab. 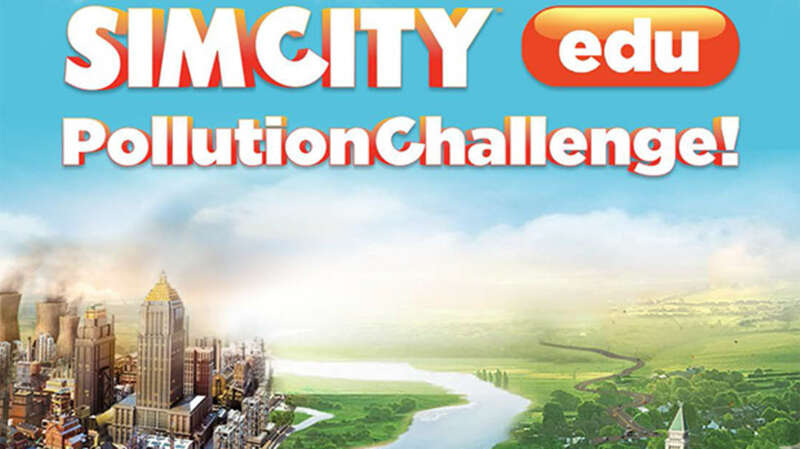 "We want to take the fun and excitement of SimCity to change the outdated practice of testing. Our hope is to close the "engagement gap" in today's classrooms while providing real-time estimates of student learning to teachers and parents. "Let me explain. Most classrooms haven't changed in the last 100 years, while outside of the classroom kids are learning in dramatically different ways—hence the engagement gap. We wanted to create something that was just as fun and exciting as what they were doing outside of the classroom—imagine kids leaping out of their desks when they get to "take a test" with SimCity, that's exactly what happened in our beta tests. At the same time, we wanted to dramatically improve the transparency of student learning. Today, kids take tests and get the results months later—oftentimes being shoved into a drawer at home. We want test results to be immediate, we also want to reveal a much deeper understanding of student learning. Our games provide thousands of learning activities on each learner—not just a multi-item test bank that shows only a limited view of learning. 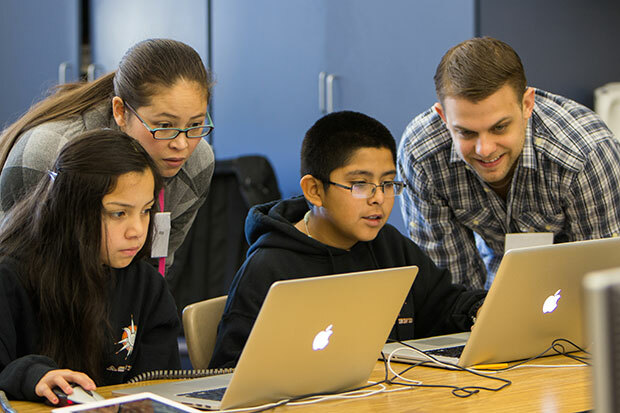 "Based on the feedback from our beta where thousands of kids and teachers played the game across the country, we learned kids were incredibly engaged—teachers felt like a whole new conversation was happening around the learning because of student engagement and transparency of learning data." If you're a classroom teacher, homeschool teacher, or parent, you can buy the game and integrate it into your curriculum. For more on the game, check out SimCityEDU.org and be sure to read this PDF explaining the missions, plus details on which standards are covered. There's also a community site with lesson plans, FAQs, webinars, and ways to interact with other people using SimCityEDU. Another useful resource is Matthew Farber's blog post about using SimCityEDU with his sixth grade class.